Whew! 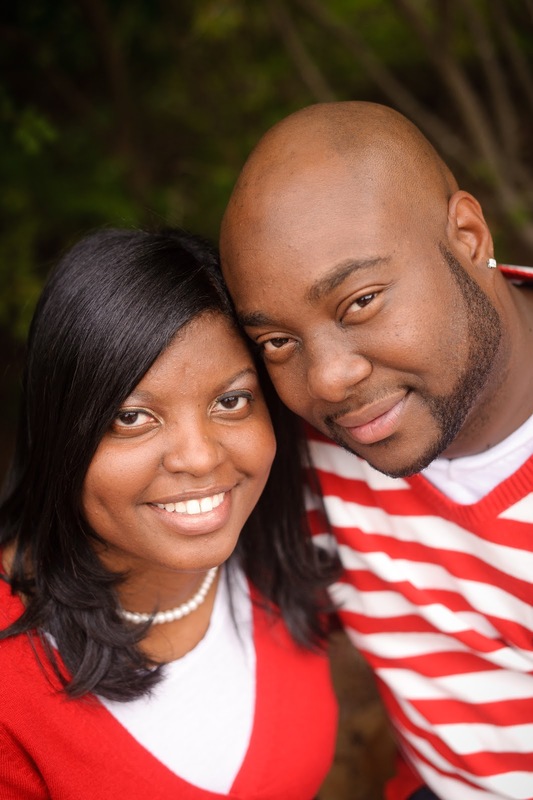 It has been a whirlwind weekend and week! 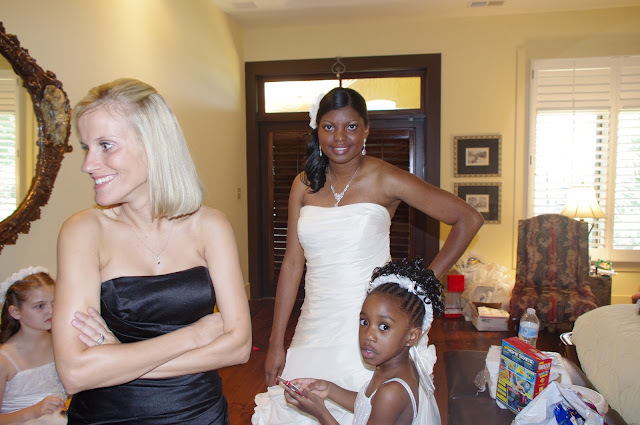 I had a great time this weekend at my best friend's wedding, it was totally awesome, but I am still tired!!! 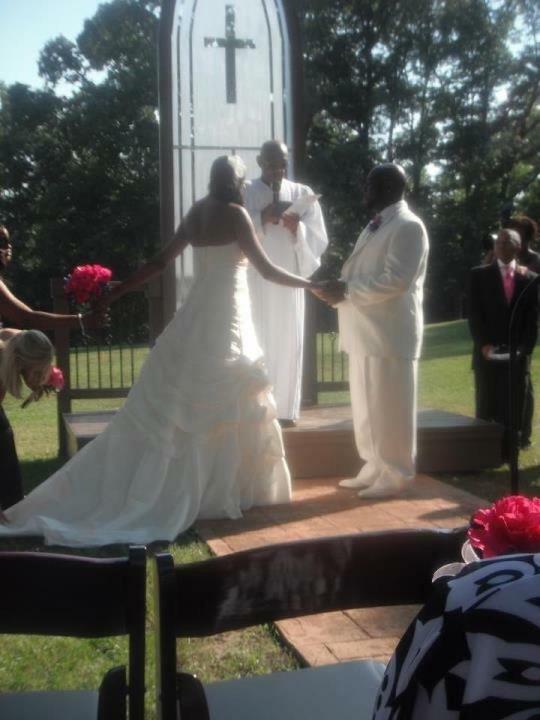 I almost feel like I got married!! Ahhh!!!! Back to a lot of things to do this week! I've had meetings each day, not to mention my closing of school packet to complete! It seems like everything is competing for my attention, not to mention all of the students that still keep coming to school! I mean, the last day for kiddos is Thursday, and they have been coming like clockwork! 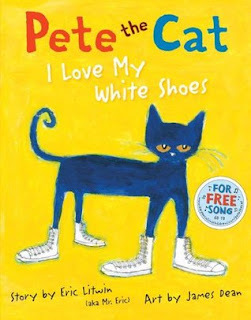 Well, today was my first day of reading Pete the Cat EVER to my class! I can't believe what I have been missing! I'm ready to go and buy ALL of them now! My kids picked it up pretty quickly, and we had to listen to it 4 times, and then we have to read it 1 more time and we sang the song ourselves. You should have seen the look on their face when we talked about the cause and effect of Pete's shoes changing colors. I laughed and reminded them that we were in school, and we were here to learn! Haha! I used a sheet from First Grade Blue Skies Pete the Cat packet, and my kiddos loved it! I just wished I'd known about him a lot earlier in the year! But I'll be ready next year! It has definitely been a crazy week! We have completed all of our testing, and Kindergarten has had a fun activity planned for every day this week. 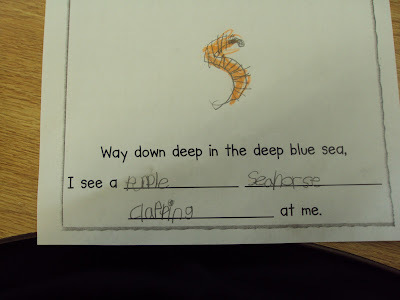 So, this morning we continued our Oceans unit, and learned all about the crab. 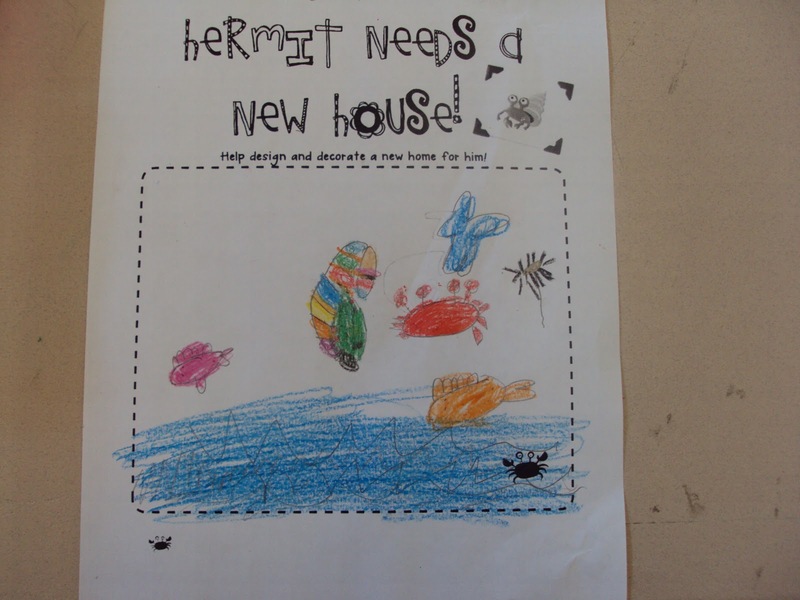 We read A House for Hermit Crab, by Eric Carle, and I couldn't decide if I wanted to do a craftivity or what. 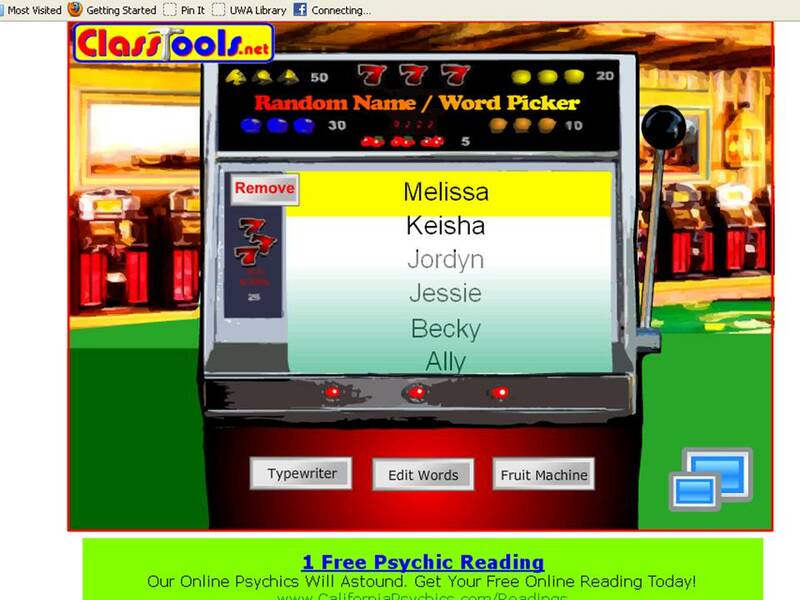 While looking around on old blog posts, I found the greatest thing! On First Grade Blue Skies, I found an awesome freebie!! I wished I had known about this pack, it would have been a great addition to my Oceans unit, but I am definitely putting it on my wishlist!!! My kids really enjoyed it! The rest of the day was fun, the entire grade level did a movie and popcorn day, so we watched Finding Nemo since we are learning about the ocean! I'll be out of comission for a few days, my best friend is getting married this weekend, so we have rehearsal tonight, dinner tomorrow, and Saturday is the big day!!! Ok, I guess I'll join in on the fun!!! 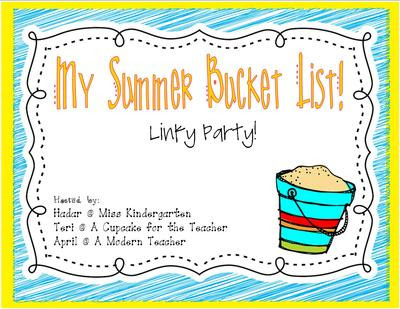 I'm linking up with Hadar, Teri, and April, for a Summer Bucket linky party! There are several things that I plan to do this summer, but I'll just share a few with you. Otherwise, it could go on forever! 1. Finish the last two classes of my Ed.S!! Yayayay!! I think after this I'm definitely taking a long, long, break from school. I mean, I've been going since I was 5, lol! I'm tired of school!!! 2. 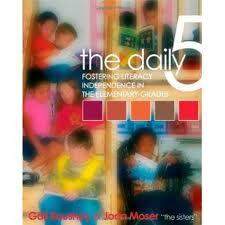 Read The Daily Five, and the CAFE book by the sisters. I cannot wait! 3. Adjust my centers and center rotation, based on The Daily Five. 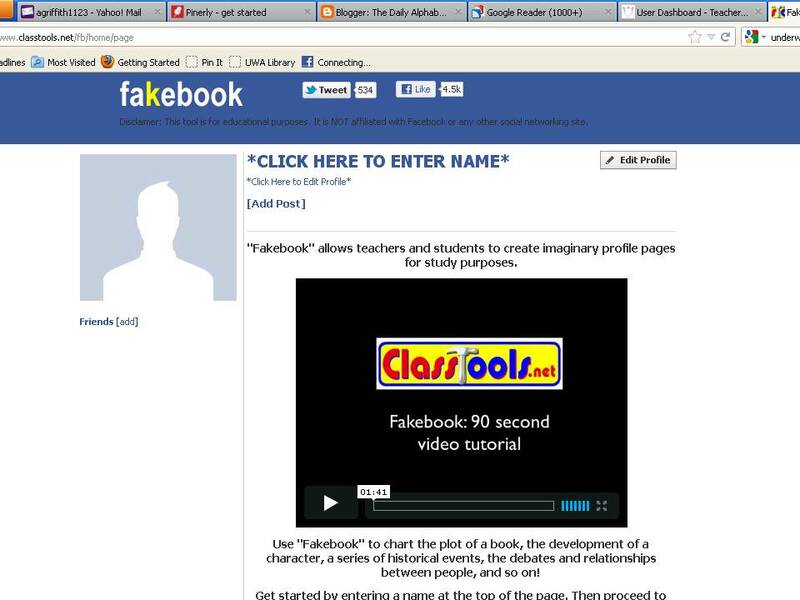 I also need to look through the curriculum to create activities for this! 4. We are fully adopting the common core this year, and I need to dig in and laminate those great posters that I got from Deanna Jump! There's like a million of them. 5. 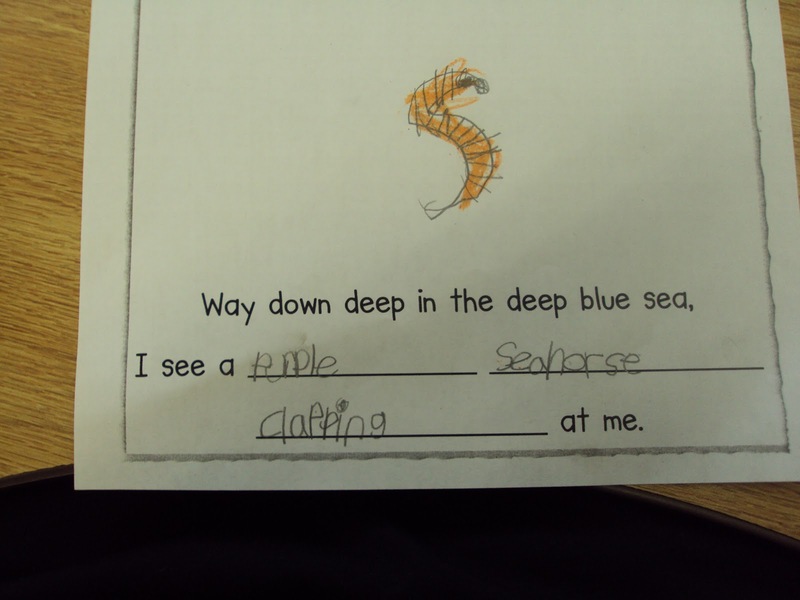 I would like to re-evaluate my writing workshop for my kinders. I had finally moved towards having a great one in first grade, but I'm not exactly happy with the way it went this year in kindergarten! 6. I've got to re-think how I'm going to organize my classroom!! At the other campus we had a lot of shelves and cabinets. Here, we don't have as much room!! 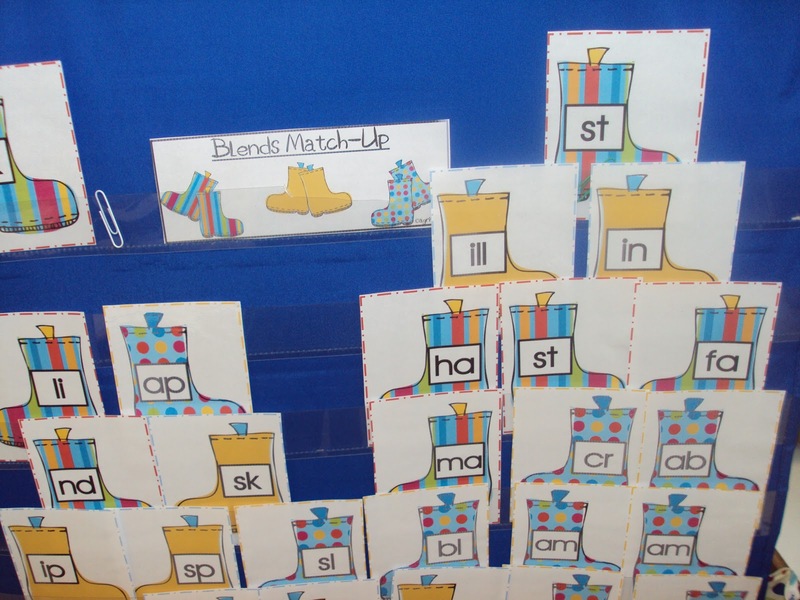 Organization is the rule for this upcoming school year! 7. I've been doing a great job of exercising since January, going before work. I've gotta keep it up, no getting lazy over the summer! P.S. Is anyone else having problems with Google Reader? 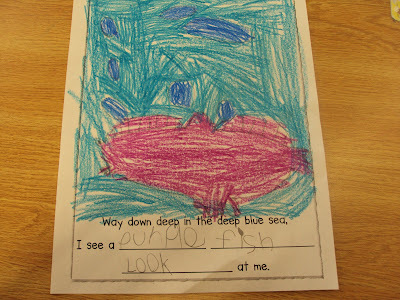 Even though I am tired and stressed by the end of the school year, I am really proud of my kinders! They have really grown, and as they worked on their mother's day project today, I just sat and observed them. 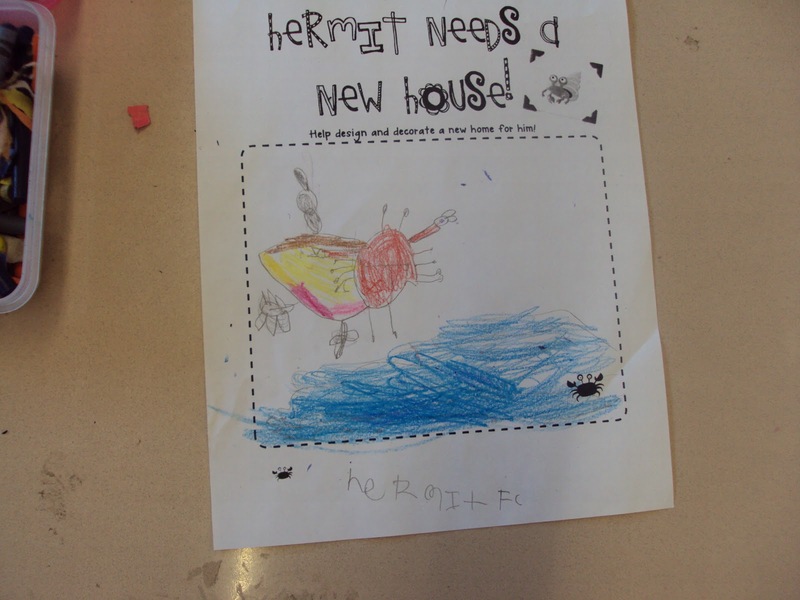 I was amazed at how they've transformed into these little almost 1st graders! Today we reviewed for our end of the year reading and math tests that we will do next week. 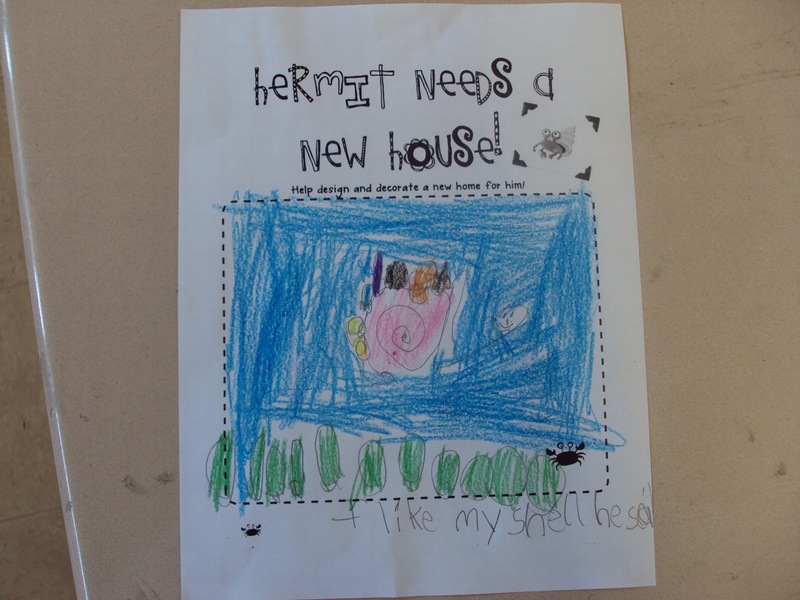 This afternoon we worked on mother's day presents, from the First Grade Blue Skies pack, and we made the ewe! My kids really loved creating this for their moms. Today I introduced another center, where my kiddos are working with word families. I've been trying all year to get some of them to realize once you get that word chunk, you can read any word that contains it. This is from my Rain, Rain Go Away! pack at TPT. If you were lucky, you were able to get it for the Teacher Appreciation Jackpot! 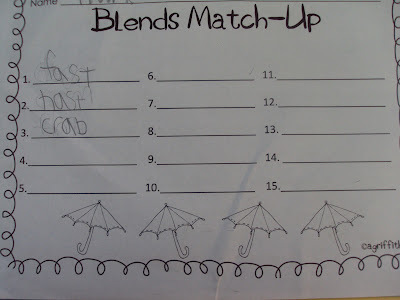 Anyway, the students have to match the raindrop to the correct umbrella. 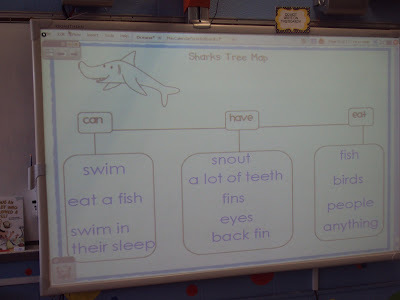 Today we only used the short u words, since that is what we are working on this week. 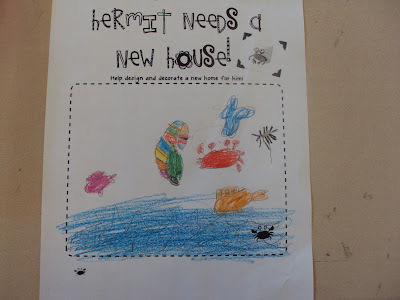 I also threw in a few extra, just to challenge some of my kinders. 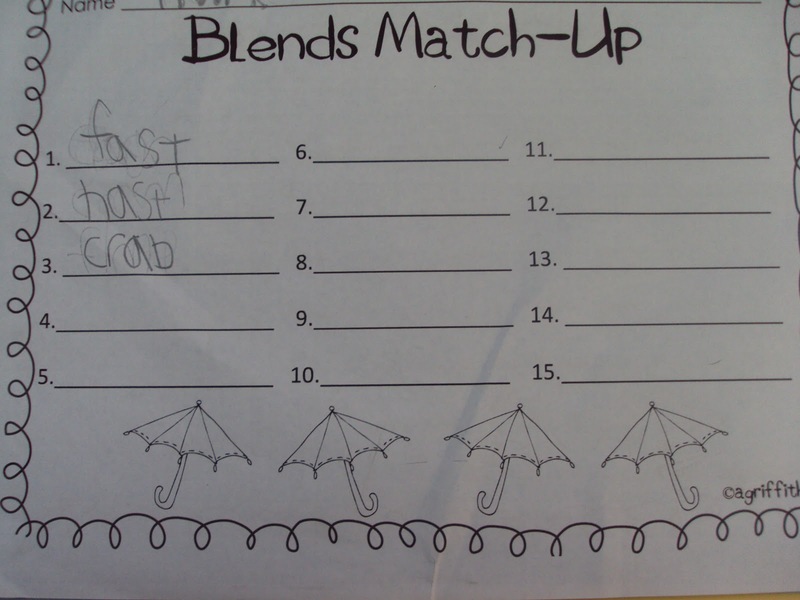 After they were finished with sorting the raindrops, they recorded their answers on the recording sheet. 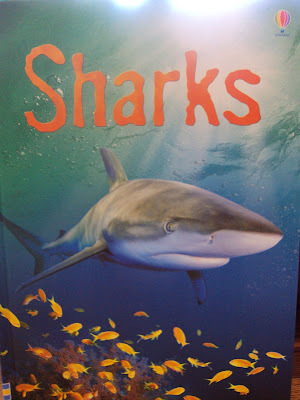 We also continued our Oceans unit, and for yesterday and today, we are learning about sharks! We read a book about sharks, and they really loved the page about teeth! We also did some brainstorming about sharks!! 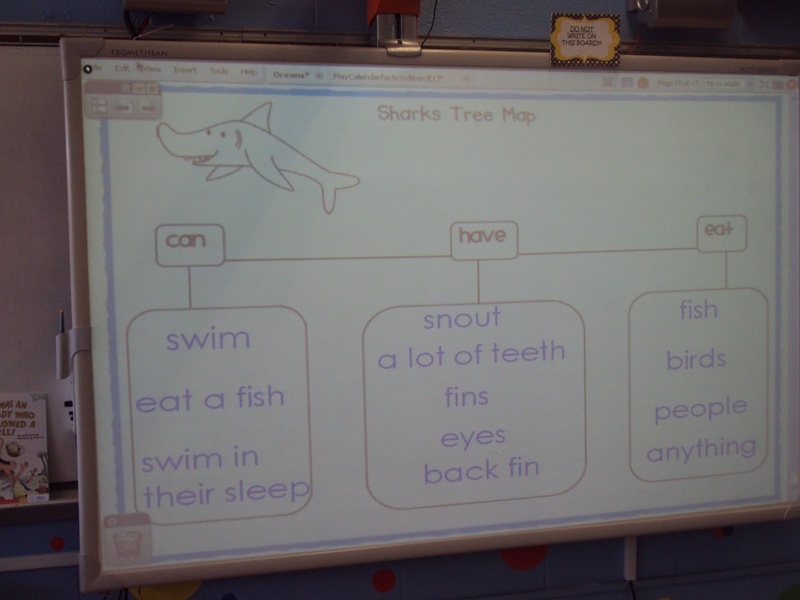 This tree map is from Deanna Jump's Oceans unit. 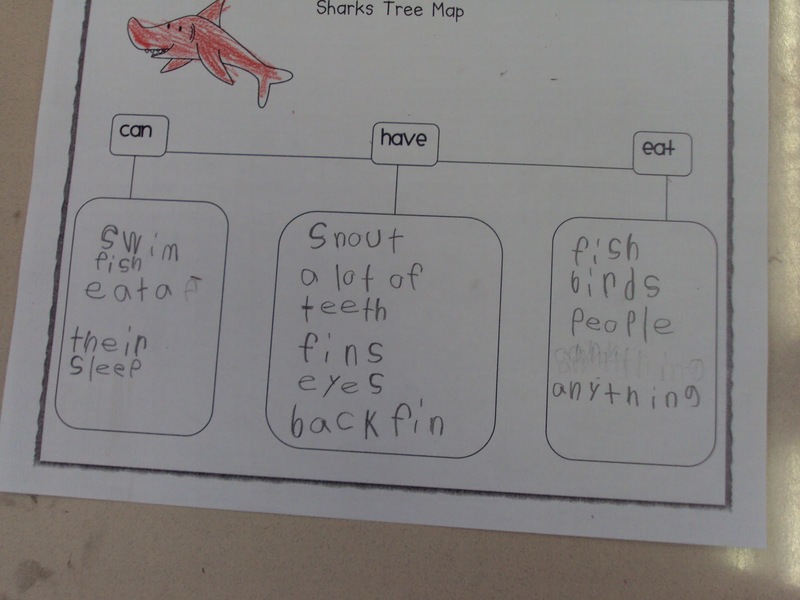 Yes, they definitely copied this off of the board! We're preparing to write tomorrow. Don't forget, only a few hours until the TPT Teacher Appreciation sale ends!! Use coupon code TAD12 for an additional savings!!! Well, I'm so glad that my class was the first to do DIBELS! That is definitely one item off of my ever expanding list!! 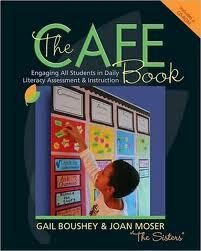 Now it's on to report card assessments, end of the year test in reading, and the last math common assessment. All while keeping them actively engaged! But hey, it is almost, ALMOST the end!! Before the clock strikes midnight on Tuesday, make sure you check out the amazing sale that is going on at TPT!! 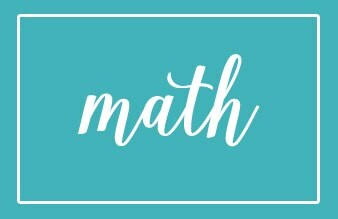 Thank you to all of the amazing teachers that participated in the blog hop yesterday! All of your comments made my day! I was so busy blog hoppin' around myself, but today I have definitely been adding several products to my shopping cart. I'm sure I need to stop, but I can't help it! Check it out!! Hey everyone! It's been a rough few days for me, but I found my way back! My dad had a work accident on Wednesday, I flew to the hospital to discover he had crushed a finger and had part of it ripped off, so yesterday he had to have part of that finger amputated. I have definitely been up and down on the emotional rollercoaster, but thank God that's all it was and he's still alive!! Are you ready for a great sale? Well, you only have to wait 2 more days, because on Sunday, TPT will host a great teacher appreciation sale! By entering the coupon code, you can save 10%, and my store will also participate in the sale. Everything will be 20% off. Go ahead and fill up your baskets, no line, no waiting! Also, don't forget to do a little blog hoppin', as some of your favorite bloggers will be having a teacher appreciation of their own! !﻿ For more information, click on the picture below!! So, I went ahead and did it! I decided to do two more centers for the rest of the year, because I want to keep them engaged even though they have gone bonkers. I'll share one center with you today. 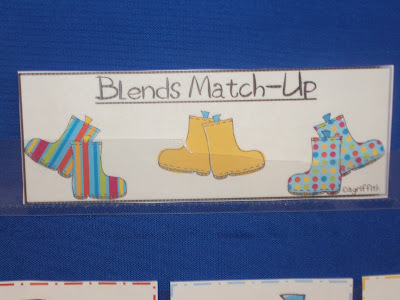 This is what I call blends match up, which is available in my TPT store. 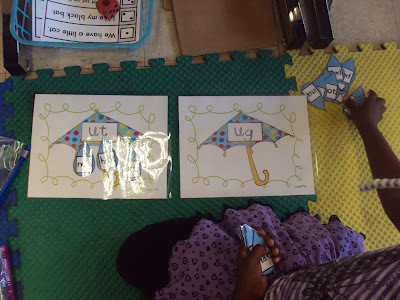 In this center, they have to find the real words, and record their answers. 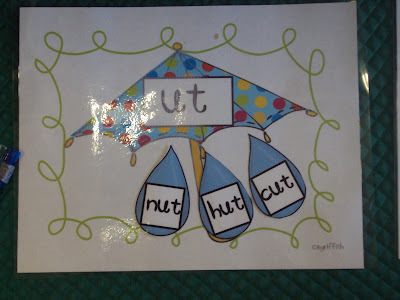 One of my children made the connection to nonsense words. He stated that even if you didn't match a real word, you could still read it. I was like 'yeah!'. It also allows them extra practice with blends. I don't know where hast came from in the picture below, this is the same kid that made the connection. Ha! We also began our Oceans unit this week. 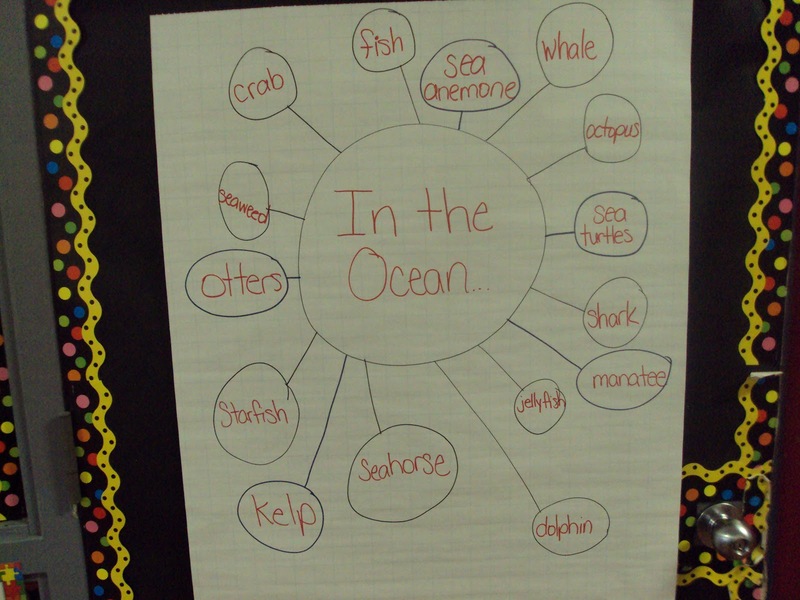 We read "Somewhere in the Ocean" by Jennifer Ward, and then we made a bubble map of the different types of animals that reside in the ocean. 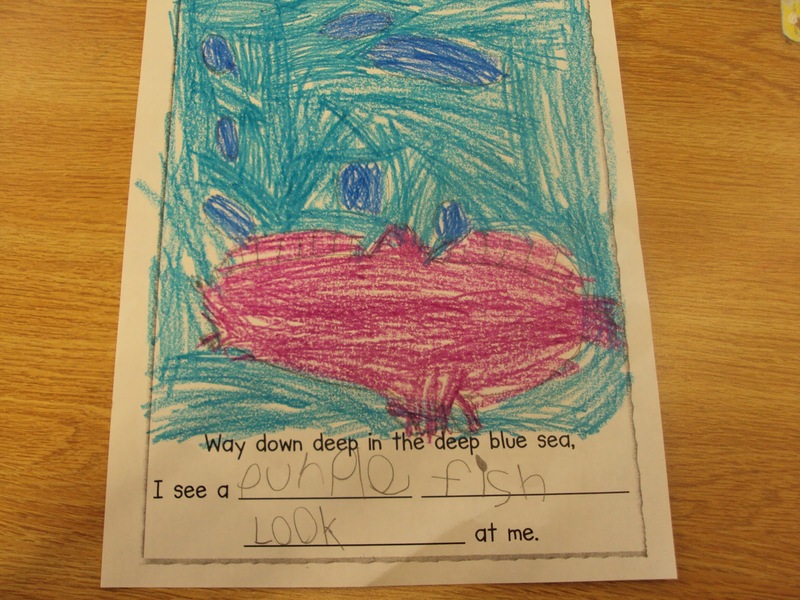 Today we read "In the Deep Blue Sea", which can be found in Deanna Jump's Oceans unit. We then came up with a list of adjectives, nouns and verbs to complete our class book. 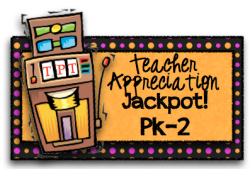 If you haven't heard about the Teacher Appreciation Jackpot, check it out!! I know that it is the end of the year, you are tired, and just ready for the end to be here! Well, in appreciation for all of the hard work that we do as teachers, there will be one day that is really just for you! 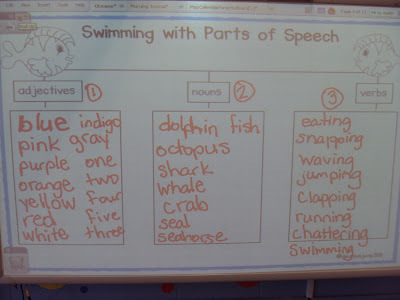 TPT has really changed me as a teacher for the better, and I would really like to share that feeling with everyone! Now, who likes a freebie? I know that I do! Are you ready???? Ultimately, as teachers, one thing that we are great at is sharing. There is no one else that I would rather share with, than you, all of my precious blog friends! Fortunately for you, I am not the only one! 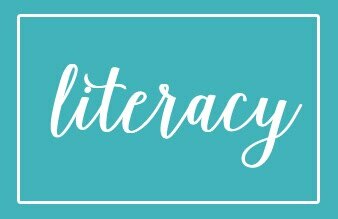 I've teamed up with April from A Modern Teacher, Laura from Corkboard Connections, and Adrianne from the Tudor House and over 130 other bloggers for this totally awesome event! I'm so excited I can hardly wait! 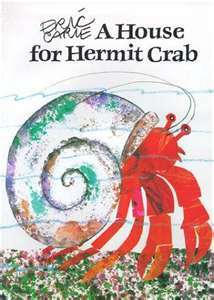 On Sunday, May 6, there will be a LOT of free teaching materials, valued at $3 - $8!! For one day only! Now, here are the links, don't lose them!! If you do, just come back right here, I'll keep up with them for you!! My free item for the Teacher Appreciation Jackpot is Rain, Rain, Go Away!!! Click on the title to go there!! Now remember, this is also the beginning of a great teacher appreciation sale on TPT! Don't forget to visit my store to shop the sale!! Do you see all of the great blogs below! 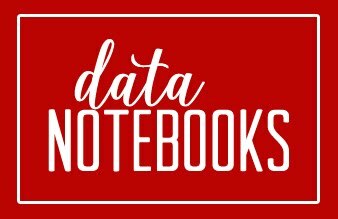 Blog hop to your heart's content! !